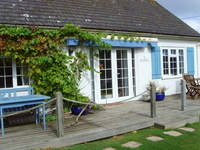 Holiday Cottages in South West & Channel Islands. 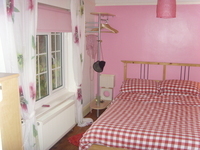 View details for Seaspray Cottage in Charmouth, Dorset. Provided by Holidaycottages.cc. Seaspray is a 3 bedroom detached cottage/bungalow in Dorset situated in a quiet location at the bottom of a private lane and 5 minutes' walk to the world heritage fossil beach at Charmouth. 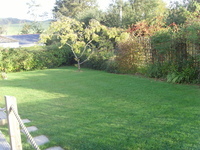 Local amenities including shops and real ale pubs are a 2 minute walk away in the village of Charmouth. 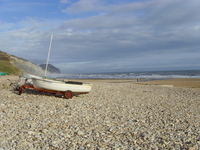 Lyme Regis is just an 8 minute drive away, with its famous Cobb fishing harbour, restaurants and family beaches. Seaspray is a family friendly cottage with car parking for 2 cars off road and has a safe, large lawned garden area all around the property, which is maintained throughout the year. We have operated Seaspray for the last 5 yrs and a guest book is available showing many guests returning year upon year. The accommodation consistently achieves a 3-star rating by the English Tourist Board.